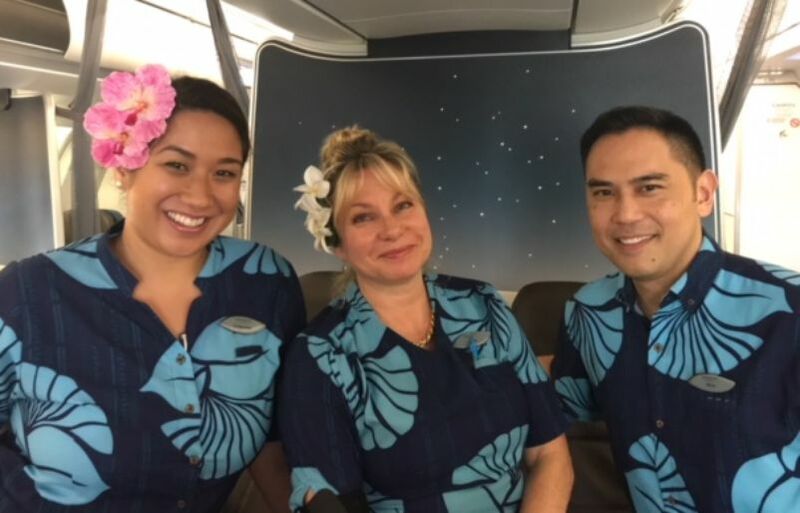 When Hawaiian Airlines Flight Attendant Wesley Hirata spotted an older Asian man boarding a recent Los Angeles to Honolulu flight with three Caucasian girls, something didn’t feel right. The party claimed they were traveling together as a family, but their limited interaction concerned Hirata, who periodically asked them questions throughout the trip to try and learn more. Still worried, he enlisted the help of fellow flight attendants Crimson Foster and Kira Sunderland. “Because of Wes’ strong instinct about the situation, I decided to go up to the girls and ask a few questions,” said Foster. She confirmed Hirata’s observations, observing the girls were nice but shy. “It was definitely a strange situation which I have never experienced in my 15-plus years of flying,” added Hirata. It was also a first for Sunderland, a veteran of 34 years, who decided it raised enough red flags to warrant action. “While we are all very aware of not wanting to inconvenience any passenger, it is obviously more important to guard the safety and security of our flight and the passengers in our care,” she shared. Honolulu sheriffs questioned the passengers upon arrival and referred the case to the FBI as suspected human trafficking. While the case was dismissed, law enforcement praised the crew's actions. "We do appreciate Hawaiian Airlines employees for speaking out and saying something and bringing it to our attention," said Jason K. White, spokesman for the Honolulu FBI field office. "We encourage people to remember that if something seems strange or doesn't feel right most times something is wrong, however, that was not the case in this incident." “The astute awareness of the flight attendants – noticing some key anomalies that heightened their attention to that situation – led them to quickly alert the captain who made the appropriate notification to our Systems Operations Control Center and airport security,” said Thomas Aiu, Hawaiian’s director of corporate security. Human trafficking is estimated to be the world’s second most profitable transnational crime, according to the United Nations’ aviation agency. The International Labour Organization estimates 40 million people are trapped in some form of modern slavery such as forced labor or marriage, with women and girls accounting for 71 percent of victims.